31-W Insulation is proud to offer garage door installation services to homeowners in and around Pensacola, Florida. 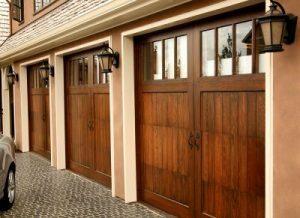 If your current garage door is malfunctioning, caved in, or otherwise damaged, we can provide you with a selection of brand-new garage door options that will let you say goodbye to all of these problems. Our garage doors come from the leading manufacturer Amarr® and are built with exceptional durability, flawless functionality, and aesthetic beauty in mind. You can expect your new garage door to improve the safety and curb appeal of your home. From picking out your new garage door to having our experienced technicians install it for you, you can expect 31-W Insulation to make the entire process easy for you. Contact us today for more information and to get started with our garage door installation services at your Pensacola, FL, home.